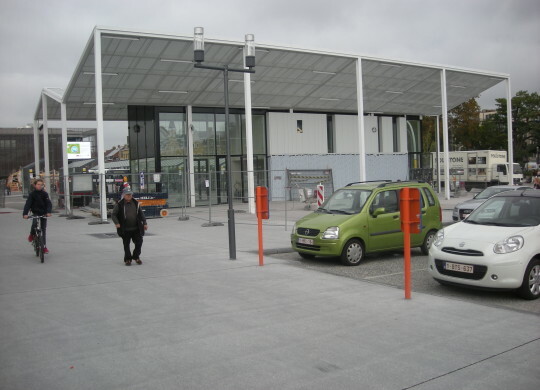 The works in the Ypres railway station area, commissioned by the city of Ypres, de Lijn, the NMBS holding and the Flemish Region are coming to an end. Technum accounted for the design and realization of the public space, signum+ for the architecture of the canopies and buildings. 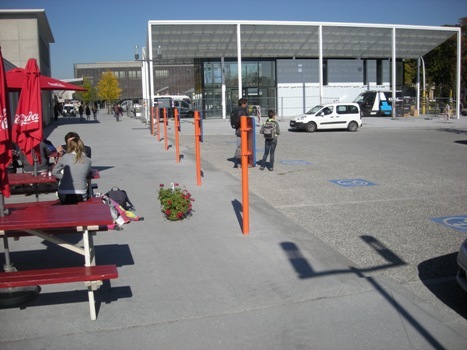 The public space and the existing axes between the city centre and the railway station area were seriously remodelled. The station activity becomes more involved with the square. The central transfer and waiting area in front of the railway station, at the crossing of several different transport modi, obtains a large canopy, which will help to determine the identity of the station area and is built as a kind of beacon, a kind of gateway on the central square. 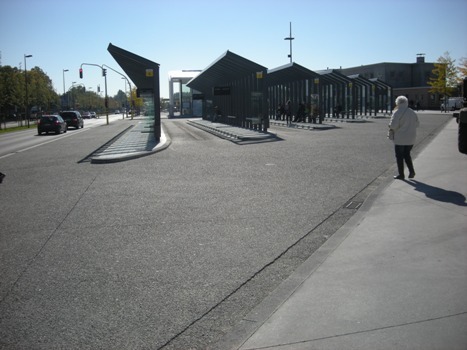 In this way an outdoor lobby arises as an extension of the station. 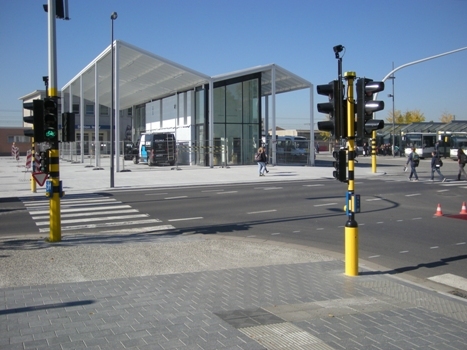 Under the canopy there is a Lijn-shop with waiting room from which a good view over all bus platforms and the kiss & ride area is provided. At the side of the new cultural centre there is sufficient open space which can be used as exit area, waiting area or space for organizing events related to the cultural cluster. 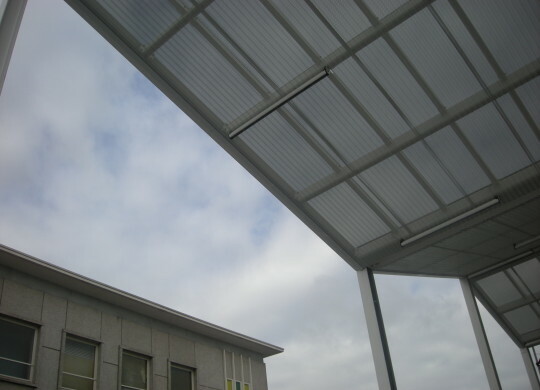 Perforated, white varnished corrugated iron sheets are attached to the bottom of the central, white glazed canopy to filter the light and provide some shadow.